The world’s top sailors are heading to Mallorca for the Trofeo Princesa Sofia Iberostar Regatta which celebrates its 50th anniversary this year. This event opens the European racing season in a crucial year for anyone contemplating taking part in the Olympic Games at Tokyo 2020. 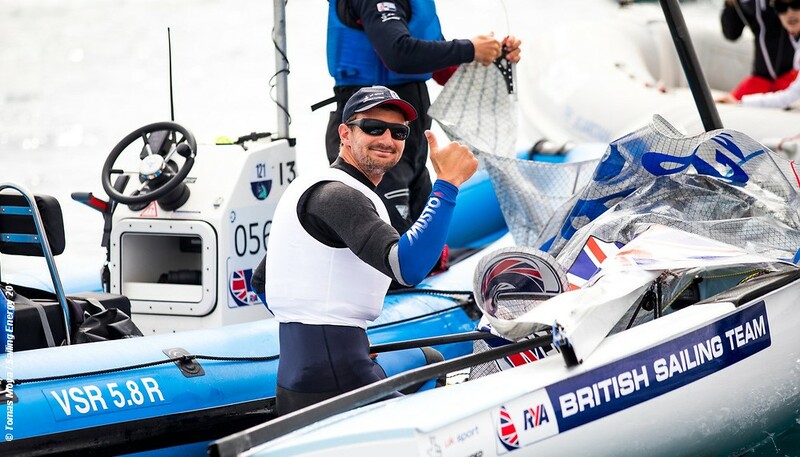 With both country and individual places on the line, 2019 will see the final Tokyo sailing test event in August, which for the British Sailing Team (BST) could signal the final composition of the Olympic sailing squad. With entry for the Tokyo test event closing in mid June this puts a lot of pressure on BST members over the next three months. The Spanish Olympic classes regatta takes place in Mallorcan waters from 29 March to 6 April, organised by Club Nàutic S’Arenal, Club Marítimo San Antonio de la Playa, Real Club Náutico de Palma and the Balearic and Spanish federations. As well as a big GBR presence, the organisers are expecting over 1,200 competitors representing 50 to 60 nations to be in Palma de Mallorca for this event. – everyone who is anyone in international Olympic class sailing will be there. “We are the sailors’ event, one of the preferred regattas. For the quality of its organisation, the infrastructures, the weather and the wind and wave conditions in the bay of Palma as well as for the hospitality of the Trofeo Princesa Sofia Iberostar organising team”, assured Ferran Muniesa, the Trofeo Princesa Sofia Iberostar Event Manager. The Brits are expected to have 50 boats competing in Mallorca, most have been on the island for some weeks training and taking part in warm-up events. For the RS:X competitors the Palma de Mallorca regatta directly preceeds their European Championships on the same waters but hosted by the Club Nautic Arenal, starting on 7 April. So far the entry is around 250, with 28 British entries. The BST top men and women RSX sailors seem to be taking a different approach to this clash of events, with no BST men entered in the Trofeo Princesa Sofia, but the three top women: Bryony Shaw, Emma Wilson and Saskia Sills apparently entered for both events. Following the Trofeo Princesa Sofia in April is round 3 of the World Cup in Genoa, Italy, and the Hyeres Week regatta for the Olympic Classes. May will see a whole series of crucial European championships, including the 470, Finn, Laser and Radial classes, and at Weymouth we will have the Nacra 17, 49er and 49erFX European Championships over 11 to 19 May. Britain has already qualified for all ten Olympic events at Tokyo 2020. Now the RYA Olympic Selection Committee will monitor the performance of eligible candidates over the coming months, with their first task to name the entries for the Tokyo Test event at Enoshima in August 2019.